S -22° 24' 10" and E 46° 7' 32"
Ihosy in Ihorombe Region with it's 16,990 habitants is located in Madagascar about 258 mi (or 415 km) south of Antananarivo, the country's capital town. Current time in Ihosy is now 02:38 AM (Friday). The local timezone is named Indian / Antananarivo with an UTC offset of 3 hours. We know of 8 airports close to Ihosy. The closest airport in Madagascar is Ihosy Airport in a distance of 3 mi (or 4 km), East. Besides the airports, there are other travel options available (check left side). While being here, you might want to pay a visit to some of the following locations: Fianarantsoa, Farafangana, Manakara, Amboasary and Ambatofinandrahana. To further explore this place, just scroll down and browse the available info. Let's start with some photos from the area. Light rain, moderate breeze, scattered clouds. Druhá část videa z kněžského svěcení v Ihosy, Madagaskar. 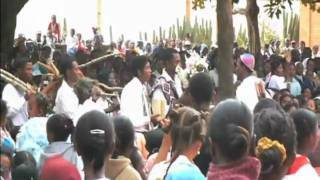 | Second part of videos from an ordination in Ihosy, Madagascar. 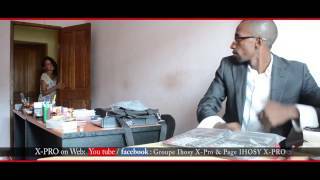 | La seconde partie des videos d'une ordination a Ihosy, Madagascar. Ihosy is a city (commune urbaine) with 16990 inhabitants (2004) in Ihorombe Region in central south Madagascar. Ihosy is the capital of Ihorombe Region. It is located on the Ihosy River and home to the Roman Catholic Diocese of Ihosy. Its A River. Located at -22.4036, 46.1258 (Lat. / Lng. ), about 0 miles away. The Ihosy River is a river in Fianarantsoa Province in central Madagascar. It runs down from the hills of Bekisopa, through the town of Ihosy of which it gives its name to. Located at -22.4, 46.1167 (Lat. / Lng. ), about 1 miles away. Located at -22.4, 46.13 (Lat. / Lng. ), about 0 miles away. Ambatolahy is a town and commune in Madagascar. It belongs to the district of Ihosy, which is a part of Ihorombe Region. The population of the commune was estimated to be approximately 10,000 in 2001 commune census. Only primary schooling is available. The majority 90% of the population of the commune are farmers, while an additional 10% receives their livelihood from raising livestock. The most important crop is rice, while other important products are sugarcane and cassava. Located at -22.5333, 46 (Lat. / Lng. ), about 12 miles away. Ambia is a town and commune in Madagascar. It belongs to the district of Ihosy, which is a part of Ihorombe Region. The population of the commune was estimated to be approximately 5,000 in 2001 commune census. Only primary schooling is available. The majority 90% of the population of the commune are farmers, while an additional 9% receives their livelihood from raising livestock. The most important crop is rice, while other important products are vegetables and tomato. Located at -22.3667, 46.1833 (Lat. / Lng. ), about 4 miles away. 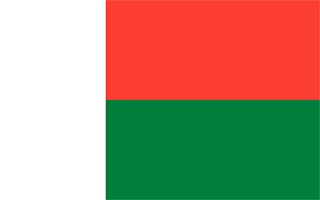 Ankily is a town and commune in Madagascar. It belongs to the district of Ihosy, which is a part of Ihorombe Region. Only primary schooling is available. The majority 74% of the population of the commune are farmers, while an additional 10% receives their livelihood from raising livestock. The most important crop is rice, while other important products are peanuts, beans, maize and cassava. Services provide employment for 1% of the population. Additionally fishing employs 15% of the population. Located at -22.3833, 46.0833 (Lat. / Lng. ), about 3 miles away. Irina is a town and commune in Madagascar. It belongs to the district of Ihosy, which is a part of Ihorombe Region. The population of the commune was estimated to be approximately 5,000 in 2001 commune census. Only primary schooling is available. The majority 66.6% of the population of the commune are farmers, while an additional 33.3% receives their livelihood from raising livestock. The most important crop is rice, while other important products are cassava, tobacco and tomato. Located at -22.4333, 46.1 (Lat. / Lng. ), about 3 miles away. Sahambano is a town and commune in Madagascar. It belongs to the district of Ihosy, which is a part of Ihorombe Region. The population of the commune was estimated to be approximately 6,000 in 2001 commune census. Only primary schooling is available. The majority 85% of the population are farmers, while an additional 14.5% receives their livelihood from raising livestock. The most important crop is rice, while other important products are peanuts, beans, maize and cassava. Located at -22.4833, 46.2833 (Lat. / Lng. ), about 11 miles away. Ihosy is a district in south-eastern Madagascar. It's a part of Ihorombe Region and borders the districts of Ikalamavony in north, Ambalavao in northeast, Ivohibe in east, Iakora in southeast, Betroka in south, Benenitra in southwest, Sakaraha and Ankazoabo Sud in west and Beroraha in northwest. The area is 17,358 km and the population was estimated to be 106,591 in 2001. The district is further divided into 17 communes. These are some bigger and more relevant cities in the wider vivinity of Ihosy.